Calling all Kate Shackleton fans! 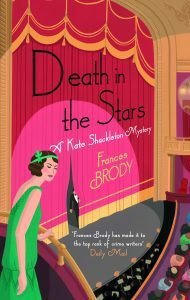 Frances Brody tells us about her ninth mystery, Death in the Stars, in advance of its publication on Thursday 5 October. When I was about eight years old and attending St Augustine’s School in Harehills, a new girl joined our class. Anna Maria was Italian, and recently arrived in Leeds. At playtime, she taught me an Italian song and we danced around the school yard. My parents and all of us had Italian friends. My brother was pals with Marco, my sister with Bernadette whose family made ice cream. Starting out on this book, I knew just two things. There would be a singer of Italian origin, brought up in Leeds, and there would be plenty of ice cream. For Death in the Stars, I created Selina Fellini who attended St Charles’s School on St Mary’s Street which is the building now used by the charity Emmaus. At a certain moment during the writing, I asked myself how a girl from a poor family might become a professional singer. Well, the story goes that she chums up with that rare creature at a Catholic school in those days: an only child. This only child’s parents want the best for their daughter Beryl, but Beryl will only go to dancing, singing and music lessons if her friend Selina can come too. The story begins in June, 1927 when Selina Fellini, now the country’s beloved artiste, is performing with her troupe at Leeds City Varieties. Selina calls on Kate Shackleton. Though Kate senses her visitor’s unease, and words unsaid, she must take the request at face value. Selina has been invited to witness – from a prime spot – the total eclipse of the sun, on Wednesday, June 29, 1927. She wants Kate to accompany her to the viewing point, and to arrange transport. Solar physics was in its infancy. The interest in this British eclipse was huge. The British Astronomical Society had been making calculations and plans for years. 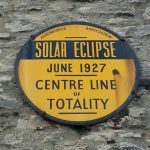 The line of totality extended from Fishguard to Hartlepool. The Astronomer Royal, Sir Frank Dyson, would set up his equipment in the grounds of Giggleswick School Chapel, near Settle. Sir Frank was not born in Yorkshire, but he had attended Bradford Grammar School. 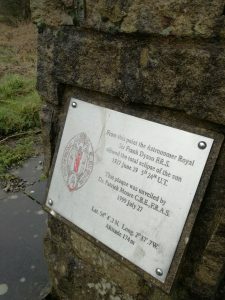 The Dales became a magnet for visitors. This was a Yorkshire eclipse! Hundreds of thousands of people travelled by special trains, by car, bike and on foot to witness the event. There was great tension, because for days there had been cloud and a forecast of continuing cloud. Kate charters a plane for herself, Selina Fellini and comedian Billy Moffatt. They take off from Soldiers Field in Roundhay, and touch down safely in the grounds of Giggleswick School, little knowing that this will be the eclipse of death. My single regret about this book is that there is not enough ice cream! Frances Brody is an award winning writer. 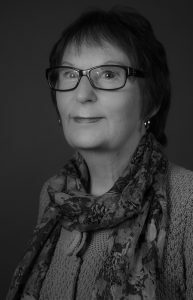 She has written many stories and plays for BBC radio, scripts for television and historical novels as Frances McNeil, now republished as Frances Brody books. Frances’ stage plays have been toured by several theatre companies and produced at Manchester Library Theatre, the Gate and Nottingham Playhouse, and Jehad was nominated for a Time Out Award. She lives in Leeds where she was born and grew up, and then travelled, including a spell in the USA. Time spent in Bradford, heart of the woollen industry, gave her a valuable insight into the background for Dying in the Wool, the first Kate Shackleton mystery. You can read more about Frances here. Saturday 7th October, 2.00 – 5.00 pm, signing at Waterstones, 93-97 Albion Street, Leeds LS1 5JS. Saturday 14th October, 1.00 – 3.00 pm, signing at Waterstones, 15 Coney Street, York YO1 9QL. Saturday 21st October, 11.00 am – 1.00 pm, signing at Waterstones, 15 James Street, Harrogate HG1 1QS. 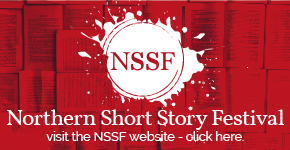 Next story Less Than 3 Weeks Left to Enter The Walter Swan Short Story Prize 2017-18.